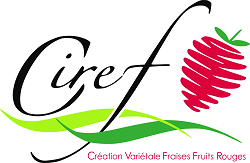 Ciref is a French grower association, involved in strawberries and soft fruits varietal breeding. Ciref, founded in 2006, is the new version of the former association “CIREF” created in 1988. It has developed different strawberry varieties like Charlotte, Cirafine, Ciflorette, Candiss, Capriss, Rubis des Jardins etc. The main goal of Ciref is to offer and develop new strawberry varieties which correspond to French producers’ needs. The second goal is to create tools in order to accelerate the process of selection. For this purpose, Ciref is involved in research programs to study strawberry genetics and to identify interesting molecular markers in strong connection with the National Agronomic Research Institute (INRA). Within the GoodBerry project, Ciref contributes to the cultivation, observation and phenotyping of strawberry and raspberry cultivars. It manages the sampling and some fruit analysis in its lab. Ciref sends samples to other participant for other kind of analysis. For its breeding program, Ciref is already carrying out such cultivations in soil and soilless for strawberries and soilless for raspberries, observations and analysis. Ciref is also involved in genotyping and QTL mapping.